How Can Bugs be Helpful? How can bugs be helpful if they’re nuisances? It may be hard to believe, especially if you’ve had some unfortunate infestations before, but not all bugs are complete pests! We spend most of our time trying to get rid of bugs and insects, but there are a few cool things that they do to make our world a better place. Bees are pollinators. They’re an important part of the chain that gives us nuts, seeds, vegetables, and fruits. 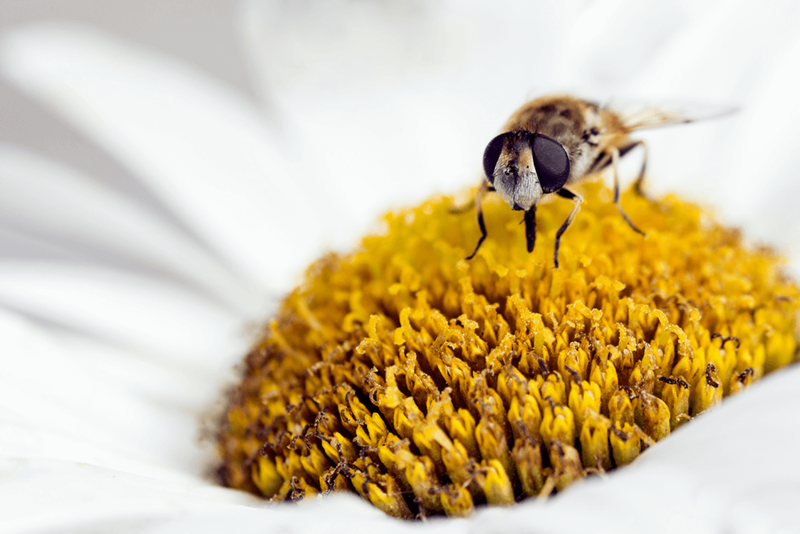 Bees aren’t the only pollinators in the bug world; beetles and flies can also act as pollinators, transferring pollen from one plant to another on their quest to find food. Bugs are excellent recyclers. They might even be better at it than us! But instead of plastics and cardboard, bugs and insects recycle plant material. Termites consume wood to help break down dead trees, flies eat everything from animal waste to fruits, and other insects feed on dead leaves and decaying animals. Without our proud insect recyclers, we would be up to our knees in our own natural wastes. Look at the clothes you’re wearing right now. Is anything made out of silk? You can thank silkworms for that. But silkworms aren’t the only bug that provides us with raw materials used for product creation. Cochineal is an insect that is used to produce colorant in food and lipstick. The next time you drink some strawberry Nesquick, you can thank your cochineal friends for making it that nice pink color. That’s right, bugs are the original pest control professionals. Many insects, like the praying mantis, prey on other ‘bad bugs.’ They’re pros when it comes to getting rid of annoying pests in your garden. Predatory wasps lay eggs on worm caterpillars to keep them from eating your tomatoes, and spiders eat those annoying mosquitoes that like to come out in the summer. Some types of spiders even eat other spider species. So next time you see a spider around your yard, be sure to thank them for their service. At Bug House, we know that even though bugs can be helpful, they don’t belong in your home. If you notice bugs making their way into your house, give us a call right away! Remember, one little bug can quickly turn into a big problem.